One attunement guide with lots of great ideas on how to best prepare yourself, including how to make your own Chi Balls! Atlantean Reiki Master Healing Course - £25 Founder: Geoffrey Keyte. Atlantean Reiki Master Attunements will amplify the healing power of your inherent vibrational energies. During your Atlantean Reiki Master Attunement you will receive the Life Cycle Energy Symbols - which were part of the Atlantean heritage and culture. These are the identical symbols which were used in the Atlantean Healing Temples by the High Priests and High Priestesses. Akhenaton - from the 18th dynasty of Ancient Egyptian Pharaohs - was the reincarnation of the last High Priest of Atlantis - and it has been known by the sacred scribes, for many lifetimes past, that when Akhenaton's mummified body is eventually discovered in his last resting place, his magical words of timeless wisdom about THE WORD will once again be revealed unto mankind. Reiki is a Japanese word with many meanings but most generally understood in the West to mean Universal Life Force. The system of Reiki Channel Healing originates from Atlantis and Lemurian times. It is a natural form of hands on energy transfer, utilising the Universal Life Force Energies. Reiki, as with many other forms of energy healings, pre-dates our current allopathic system of medicine. The Priests in Atlantis, for example, practiced a very powerful form of Reiki (which is known as Atlantean Reiki) in the Atlantean Temple of Healing. Atlantean Reiki is non invasive and gentle yet extremely effective. It is transmitted by touch. Atlantean Reiki can be given to people, animals, plants and even events and objects. Atlantean Reiki will work well with any other of the healing arts, especially Crystal Healing. Atlantean Reiki healing energy flows into and through the Atlantean Reiki Therapist. Consequently, the Therapists own energy level is increased during all healing sessions, never reduced or depleted. Therapists can use Atlantean Reiki to benefit themselves and others despite their personal energy level. Atlantian & Gaia Trilogy -£25 Founder: Jay Burrell. The Purpose of these Activation’s and empowerments are to bring forth the Knowledge and Energy that the Atlantians used during their glorious existence here on Mother Earth (Gaia). The Manual is split into 3 separate sections which will guide you in firstly using the Atlantian Crystal that is placed into your Crown Chakra (7th Chakra). After this you will receive the Crystal Skull Activation where you will have an Etheric Skull placed into your Transpersonal Point/Stellar Gateway Chakra (8th Chakra, about 5-6 inches above your crown chakra). Then finally you will come back to mother earth to be grounded via the Elemental Earth Star Empowerment. Your Earth Star Chakra is situated 3 feet below the soles of your feet. Crystal Reiki -£15 Founder: Geoffrey Keyte. Prerequisite: You must be a Usui Reiki Master to take this attunement. Attunement to the higher vibrational frequencies of a Crystal Reiki Master will amplify all your psychic faculties and healing energies. During your Crystal Reiki Master attunement you will receive the Life Cycle Energy Symbols which were part of the mystical Atlantian heritage and culture. These are the identical symbols which were used in the Atlantian Healing Temples by the High Priests and High Priestesses. Akhnaton -from the 18th dynasty of Ancient Egyptian Pharaohs -was the reincarnation of the last High Priest of Atlantis -and it has been known by the sacred scribes, for many lifetimes past, that when Akhnaton's mummified body is eventually discovered in his last resting place, his magickal writings of timeless wisdom about THE WORD will once again be revealed unto mankind. The Life Cycle Energy Symbols were a source of eternal love and radiant light shining as an everlasting beacon through the darkness of the night -and those who honoured THE WORD channelled the Life Cycle Energy Symbols for the highest benefit of All-That-Is When the attunement symbols are transmitted to you during your Crystal Reiki Master Attunement you will need to sit within a Star of David Crystal Configuration whilst the attunement is taking place. For this you will need; quartz crystal to hold plus six quartz crystals (or crystals of your choice) to form a crystal grid around you. Please note; if you do not have access to all of these crystals, you can for your attunement use Ethereal Crystals; but you will need to be already attuned to this crystal healing system beforehand. Atlantean Dolphin Auric Hands-on and Distance Healing. Atlantean Dolphin Crystal Healing Grids. Atlantean Dolphin Wisdom and Love Meditations. Earth Healing with the Atlantean Dolphins. Creating Etheric Larimar (for use in healing). The Larimar Healing Energy Ball. Celestial Chakra Activation -£25Founder: Jay Burrell. Divine Celestial Connections with Chakras 8-12 and Sub Chakras 1-5. From the founder – Jay Burrell “The Celestial Chakra Activation is a system that has been given to us by spirit and my star guide Rakesh to help those who have reached a point on their spiritual path where you feel able to work on the development of your higher chakras, you will have reached an understanding of how to tap into energies of varying frequencies, not only to help your own spiritual progression but also to help heal mother earth. Now, the time has come for others to become aware of this system and to reap the rewards of its use in their daily and spiritual lives. The present understanding of the chakra system gives you seven plus one (foot to crown) chakras. The foot or sole chakra is also known as chakra zero or the earth grounding chakra which is located between the balls of your feet. Now we also have chakras that rise up above the crown. For some of you these higher chakras are already opening but for others this will be the first time that they have come across the idea that there are chakras which extend above the crown. Celestial Chakra Activation Level 2 -£20 Founder: Jay Burrell, Prerequisite: The Celestial Chakra Activation Level 1. From the Founder Jay Burrell “The Celestial Chakra Activation Level 2 is a continuation of the original Celestial Chakra Activation that was channelled on the 11th November 2011. It is hoped that by the time you reach this point with your spiritual progression and have connected with the energies of your newly awakened chakras (8-12) on a regular basis that you will now be ready to take the next step on your spiritual path through the activation and awakening of chakras 13,14,15. The continued activation of these energies will help you to connect and align yourself with your TRUE divine god self and the galactic consciousness. If you are lucky enough, you will also gain a deep resonate energetic connection with the galactic community who surround mother earth and all of humankind during these heightened times of spiritual evolution, transformation and ascension”. NEW Celestial Crystals Empowerment -£25 Founder: Jay Burrell, Prerequisite:Celestial Starseed Activation which you can read about further down this page. The Celestial Crystals Empowerment has been channelled to give you the ability to access specific Crystalline Frequencies in order to help you pass through the Veil of the Old Age so that you can enter the New Age of Consciousness with ease. This Crossing of the Veil will occur on the 21st day of December 2018 and will continue for the duration of 24 months. Accumulating on the 21st December 2020. Working etherically with crystals allows us to access the energies of crystals we may not readily be able to work with physically. This system takes this one step further by connecting us to crystals with celestial or galactic energies from deep in space. These energies will be encoded into your auric field. These stones are not of the Earth and have come to us from the Universal Consciousness and Godhead. Many crystals are formed within the Earth but there are some which have come to Earth from Outer Space. Moldavite is one you may have heard of, but there are also other stones which are not naturally formed on Mother Earth. Within this system, you will receive the Energetic Connections to these stones where you can simply intend for them to become active within your Auric Field giving you the ability to use them during your Meditations, Healings and also Galactic Travels. The Celestial Golden Chi helps us to take charge of our own life and to increase our capacity for positive change. One can experience a new expanded perception and a more objective understanding and outlook on life. It will resonate with our own bio-energy field, thus your energy field will begin to resonate to the higher frequencies raising your personal bio-energy signature to new and higher levels. When you work with Celestial Golden Chi you intuition greatly increases as your third eye chakra balances, energizes and opens up, giving you greater psychic abilities. When you resonate at a high vibratory rate you have a more positive attitude as negative energies or thought forms seem to drop away. Celestial Golden Chi neutralizes detrimental energies and only lets in the positive higher energies as you are protected from negative psychic influence with a protective energy shield. You can manifest more powerfully when your vibratory rate is at an ultra high frequency because you have a more powerful connection to your higher self and the universal intelligence. The growth and expansion received from this system helps you to build on your old frameworks without any trauma. You will have a new perspective and therefore make better choices. When your consciousness is expanded you will be more objective and therefore more empowered. Advanced Golden Chi: allows the exploration of a profound state of contemplation or quieting down of the mind, providing you with Greater Focus, Smoother Thoughts, Deeper Thought. This energy shifts our brain to more of the right side, which allows you to explore life in a way that is more abstract, artistic, emotional, intuitive and with deeper mean which will inevitably bring about greater levels of understanding and wisdom. Golden Star of Chi: will gently and slowly raise your energies and consciousness to higher and greater and higher levels of understanding in complete balance. The Golden Star of Chi communicates with your DNA, signalling and attuning it to resonate with the Divine Flow of the Universe, The Holy Spirit, The Creative Life Force, The Supreme Creator Energy. Golden Chi Soul Sequence: is a direct connection to a high level of creation that programs life itself as we know it, a direct Higher Self Connection that is beyond time and space. This sequence will gently assist in purging out negative energies from your aura and consciousness, this may lead to rapid detoxification on the spiritual, mental, emotional and physical levels. Pure Golden Light of Chi: captures and radiates out a golden Light that is cleansing, rejuvenating and refreshing. It seeks to put our consciousness in a state, which will quickly transfer our mind from the Beta state into a deep Alpha and Delta state of mind. Golden Chi Purity: penetrates and resonates to very high levels of reality in which our intuition and understanding is all knowing and connected with the cosmic divine creative life force which gently guides and sustains all forms of life as we know it. A deep sense of connection and loving detached clear understanding of life may start to emerge. Founder: Jay Burrell. Your light body is a body of pure energy that exists at a higher vibrational level, which is closer to your inner consciousness or soul, than your chakras. As you re-awaken your light body vibrations you will start to learn how to channel a much higher vibrational energy during your healing work and your teaching. You will also learn how to change all less harmonious energies within your auric field into more positive vibrations. This attunement will help to allow you to experience a much higher sense of personal power, to be more centred and able to release blockages and negative energies that may be holding you back in certain areas of your everyday life by connecting you to the higher realms of spirit. Through working with this manual and the many exercises involving the use of crystals, guided meditations, self-healing and personal intentions you will be able to learn to live in a proactive rather than reactive way and actively choose actions that reflect the light of your higher self experiencing oneness with yourself and the universe. These energies will open your higher chakras, including your 8th or Soul Star chakra, connecting you with the Universal Mind. As you begin to raise your personal energies and light body vibrations to a higher level of consciousness, it will become easier to connect to your Spiritual Guides and other beings of light. The Celestial Light Body Activation manual (90+ Pages) and registration form will be sent to you in PDF format via email. Your distant attunement to the Celestial Light Body Activation will only be sent to you after you have read through the manual provided and have completed the meditations and exercises. This will take between 7 - 10 days or longer to complete if performed properly. Your main attunement will then be sent to you using the chi ball (call in) method. You will also receive an emailed certificate which will register you as a Celestial Light Body Activation Master/Teacher enabling you to pass these teachings to others. Celestial Starseed Activation -£25 Founder: Jay Burrell: “Many will have heard the term of Starseed but not many will know what this title means. The term Starseed literally means that an individual/soul born on earth is a creation who has had many lifetimes on planets within other star systems, galaxies and even other dimensions and universes. Starseeds are also individuals who will quite often get excited about the thought of originating from another world or within another universe. They will also have a strong sense of longing for their home and images of space, other planets and galaxies will often bring these feelings to the surface. Another simple yet highly effective sign that any starseed will have is a sense of aloneness, separateness or even being a foreigner on this planet or in your country of origin. Although the sense of not being settled within the country of your birth usually indicates a previous lifetime in another country it can also indicate that there is a possibility that you have lived on earth but this earth was in another Universe. This is what I call a Multiverse Universe. Through the channelling work that I have had over the years with my star guide Rakesh, I now strongly believe that our universe is just one of many universes and our earth is just one of many Earth's. Natural healing or psychic abilities. You will receive a very in depth 50 page manual. It is very important to work through the meditations and exercises in the manual for a minimum of 7 days before requesting your attunement. Amara-Omni Initiation -£25 Founders: Omar and Nicole Antila. The empowerment takes the form of an 'initiation' and may be seen as a catalyst that activates and accelerates the spiritual development of the recipient. Amara-Omni is an energy-consciousness of individual empowerment and self-discovery. Even though Amara-Omni can bring forth healing on all levels and dimensions, the actual intent is not to heal but to become aware of our subconscious currents. These deep “inner waters” hold the key to the mystery of our being. The energy-consciousness of Amara-Omni assists us to accept our wounds and issues as they are now and helps us to become fully aware of their reasons for manifesting. We all experience pain at some point or another and some experiences leave wounds that stay open even through many lifetimes. By becoming aware of the patterns that keep these wounds open, we finally allow them to heal naturally. Nothing needs to be undone or fixed, as our true nature is whole and perfect. Allowance is the only thing needed to experience healing. Amara-Omni will help us to see our “darkness”, our shadow self, and accept those aspects of ours that we do not like, or feel separated from. Amara-Omni will help us connect with our subconscious, where most of our true power and magic currently resides. The energy-consciousness will work with us so that we can bring these subconscious aspects into our conscious experience of who and what we are. Through understanding the mystery of our Self we reach mastery. Amara-Omni represents the aspect of the self that is fully grounded in its own divinity, radiating the full spectrum of its being outwards Amara-Omni is like water, transforming itself to fit every possible situation that manifests. Amara-Omni is ever-evolving, flowing and unfolding. When we experience that state of being, we become Amara-Omni itself, as it is not some form of consciousness that is separate from our own. The core nature of Amara-Omni is consciousness and it should not be seen as a mere energy stream. The movement of consciousness creates energy. This movement is quite important, as it will help in aligning ourselves with the core of Amara-Omni. The energy guides us to the core by facilitating shifts in perceptions and consciousness. Unlike some systems that focus more in simply balancing the energy flow of our subtle bodies, Amara-Omni also works in the level of pure consciousness. The energies will align the subtle bodies so that the actual consciousness can ground itself into our being. This is not “better” or “worse” than systems that focus more in getting direct results with energy manipulation. This is simply different. Amara-Omni works extremely well for those who resonate more with this particular approach. Amara-Omni does not offer quick fixes to physical or psychological imbalances. It does not offer a fast path to “enlightenment” either. Amara-Omni simply offers a journey within. When we reach and experience the core we begin to understand everything that happens around it. In that space we can find true healing and empowerment. Amara-Omni has connections to many different realms of consciousness. It can be said that Amara-Omni is actually a unified group consciousness composed of several unique aspects of the divine. The cetaceans (whales, dolphins and porpoises), the ancient civilization of Lemuria, the Lemurian goddess Amara-Omni, the Rainbow Serpent and Dragons among others are the most prominent connections. Many of these have strong connections to water and it seems to be the main symbol for this whole system. Light of Lemuria Attunement - £15 Founder: Linda Colibert. The Light of Lemuria attunement connects you to the Lemurians and strengthens any already existing connections. This is an empowerment system that helps develop and enhance psychic abilities, helps bring forth the hidden memories of the distant past in which the Lemurian and Atlantian cultures existed. You may have been a part of this culture in a past life, and if so, you may feel the echo of truth in the information contained in this manual. For the distant memories that have been hidden for so long will begin to surface, teaching you the way of light, love, and empowerment. Look beyond this lifetime. The Light of Lemuria manual covers Lemurian history, gives information about the Cave of Initiation, the Crystal City, seed crystals, interdimesions—or alternate realities or timelines, healing, telepathy, colours associated with the Lemurians, and What the Lemurians want you to know. The Lemurians offer peace, love, wisdom and great healing to you. They have assured me that it is time for this information to be brought forth, time for Humanity to know and ascend. Telos Energy System -£10 Founder: Ole Gabreilson. Telos is an ancient Lemurian city that exists right beneath Mount Shasta. It's a real city in the physical realm with over a million inhabitants, that all live in peace and abundance. The inhabitants of Telos are very evolved people and you can ask to be taken there in meditation. Just call upon Ascended Master Adama, High Priest of Telos. With Telos healing, five programmed stones of your choice are used and placed on and around a person. The stones will automatically connect to each other and start sending the Telos healing energy to that person. You can also place these stones in each corner of a room to raise its vibration and bring a calm, loving and peaceful energy to that room. In the manual you are taught how to programme and use the stones of your choice. You can also just channel Telos healing through your palm chakras by intent. You will learn how to make and use the 5 healing stones on others, for distance healing and to set up a love grid Make special water treatment plate that infuses the water with a loving frequency. Diamond Himalaya Reiki -£10 Founder Stewart Farquharson. This energy will initiate you into the mystical land whose secret entrance is hidden in the Himalaya mountains. Called by some Agartha, and by others Shambala, it is a peaceful place where people remain young and healthy forever. Their hearts glow with the Universal Light and Truth. Some delight in caring for plants and animals, some study and teach, some create beautiful works of music and art, and some leave Agartha to help ordinary humans when called. After your attunement work through the four guided meditation initiations to meet and work more in depth with these beautiful people. Shamballa Multidimensional Healing -£40 Founder: John Armitage (also known as Hari Das Melchizedek) from Ascended Master St. Germain. Although similar to Reiki in many ways, it is an independent system, which is best described as a spiritual practice that is taught as a form of energy healing. This system is considered to be an expansion of the Reiki energies as it combines them with Mahatma energy (also known as the ‘I AM’ Presence) and the energy of the Ascended Masters. Shamballa energy is multidimensional in nature, working not only on the physical level, but all levels. Similarly to Reiki, it travels to wherever it is required in the body and energy field. Shamballa works not only on the mental, emotional and spiritual levels, but through to the deepest levels of cellular memory, DNA and to the highest vibrations of the energy body. The four Shamballa attunements open you to receive the etheric symbols, one for each dimensional level between here and the Creator Energy. It is not necessary to know all the symbols in order to be able to use them, as they will come to the practitioner intuitively if they need to be consciously known. Shamballa Multidimensional Healing will assist in reconnecting you to the full expression of your being, so that you can experience fulfilment in every aspect of your life and accelerate your spiritual development. * Clearer and smoother connection with their higher aspects, including their I Am Presence. * Being and feeling more empowered and more grounded in their bodies. * Being more in tune with themselves and more conscious of their thoughts, feelings, and limiting beliefs. * Feeling empowered to change what can be changed, to release what is no longer appropriate to them, and to choose and integrate new ways of being at all levels. * Being more aware of the energies around them. * Understanding more about the spiritual and energetic changes occurring on the Earth at this time. * Discovering their multi-sensory abilities and learning how to work with them. * Expanded communication with their personal guides, as well as with the Ascended Masters, Archangels, and other Celestial beings of Light. * Learning about their own healing abilities. * Carrying the highest Light quotient that their 4-body system is ready to receive. * Recognizing their abilities to create their own reality. * Being a Beacon of Light and Love on Planet Earth and much more. Shamballa MD Healing Level 1 - Teaches how to offer a hands-on healing session for yourself, other people, plants, animals and Mother Earth. Shamballa MD Healing Level 2 - Introduces symbols used for distance healing. Teaches understanding of how to live and create communities via an awareness of the interconnectedness that life is interconnected. Shamballa MD Healing Level 3 - More symbols are introduced. The theme is understanding and use of symbols for Self Mastery and to understand the Divine within. You will also have the Ability to teach Level 1 Shamballa MD Healing. Shamballa MD Healing Level 4 - Shamballa Master/Teacher level - For those who wish for intensive spiritual growth. This Attunement assists the individual YOU in recognizing and accepting your own inner Mastery. Shamballa recognizes the Mahatma Energy or the I AM Presence and Shamballa is a link to Divinity which is expressed in a deep knowing, feeling and living of the connection that is Oneness with all life. Sirius Light Super Initiation –£15 Founder: Ananda Jyothsana. Awakens the Chakras, Aligns the Aura and Release from Negative Thoughts and Belief's. The Sirius Light Super Initiation is a high vibrational spiritual initiation. As this powerful energy flows through you it will assist you in breaking free from personal and collective negative patterns which have been holding you back, giving you a wonderful feeling of being fully alive spiritually within your human form as each and every cell of your body vibrate at an ever higher frequency with the love of the cosmos. Included in your attunement is ‘The Cellular Seals Activation’. This connection works on the sleeping ego personality to activate deep spiritual healing, clearing and release from suffering caused by obsessions, vices, addictions and damaged psyche as well as negative karma impacting your life and wellbeing coming through from your ancestral line. Self esteem-confidence-motivation-positive attitude-fear removal-communication skills- learning new skills The manual includes 5 Full Moon Rituals for you to enjoy, including Drawing Down The Moon. Lunar Balance Energy System - £20 Founder: Mariah Windsong. Lunar Balance energy system assists your emotions to stay balanced throughout our moon’s many phases each month. Some people are highly adversely affected by some of the phases of our Earth’s moon. The moon’s pull affects the tides of our oceans and as our emotions are likened unto water so too are our emotions affected by the moon’s phases. The water in our body can be out of balance some times and Lunar Balance is very helpful in this way. Pre-menstrual water retention can be lessened or alleviated by activating Lunar Balance. Lunar Balance is best activated during the times of the month that you feel that your emotions are most adversely affected by the moon. Each person is different. A power time for one person can be an emotionally scattered time for another person. Sacred Moon Reiki is good for a wide range of problems just to name a few: addictions, bad habits and suppressed energies from abuse and much more. The purpose for Sacred Moon Reiki is to bring Unity to Mind, Body and Spirit as well as Global Unity among all of nature. Please note that you will need to be a Reiki Master to receive this attunement. Waxing Moon Initiation Of The Muses -£15 Founder: Lisa Center. The Waxing Moon invites us to be aware of the focus and direction of our energy and attention. What are we nourishing and growing in our lives? What are we feeding with our energy and attention? Are we getting distracted from our intentions and commitments? The waxing moon teaches us about sacred pace in the unfolding, about being at peace with who we are right where we are, honouring the beauty and purposefulness of all that is as we learn and heal and grow. The Muses represents a special form of Goddess energy and personification. They are the daughters of Zeus and Mnemosyne, the goddess of memory. Mnemosyne was the daughter of Uranus and Gaia. It is said the nine daughters were of one mind though each has specific talents attributed to them which they use to work with and inspire each one of us. Clear dense or negative energies away from your body and mind. Accept paradox and gain the ability to hold two perspectives. Reconcile many levels of who you are and what you believe. Cause to be recorded lessons you’ve learned clearing old karma. Increase your Light Quotient ratio by dropping away limitations. Gain the ability to learn through observation not just experience. Teach your body to shift its vibration to accommodate environmental and reality changes, for travel or comfort here. Prepare your body to change fully into Lightbody and back into physicality at will as is directed by your Spirit, Soul and Source. Fulfil all the requirements of incarnation, so to optimize your opportunity to ascend into Eternal Life when your body dies. Azure Shakti - £15 Founder: Mariah Windsong. The Azure Shakti™ is a sentient Eternal Divine Intelligence whose sole purpose for so long as you choose to work with her, is to bring you into full contact with your own soul. After taking you on a spiritual journey up to your soul, the Azure Shakti™ causes you to become consciously aware of your soul, from here, within your own body. The Azure Shakti may bring a stronger concentration of your soul energy here to you, in your body, if you are ready for this experience. The Azure Shakti™ provides a unique experience of your own soul, bridging the gap between embodiment here in physicality and all you are. The Azure Shakti™ may, upon occasion, indeed bring your conscious awareness up into the fullness of your soul to help you learn about yourself. Cognitive Upgrade™ (With Lightbody Integration™ in level 2) - £20 Founder: Mariah Windsong. The term Cognition, in Latin it is cognoscere means "to know", "to conceptualise" or "to recognise". All those mental processes that help you determine when a like or dislike changes, to think about things, refer forward and backward in time are part of your cognition. The ability to concentrate your attention upon a topic, remembering, and making decisions are among some of the abilities which are considered "cognitive" in nature. Cognitive Upgrade assists to reduce the "disconnect" feeling that people get when they've received a "download" from spirit. If you've ever felt like your soul or angels just dumped information and energy into you, but you can't quite access it, you may have received a download. This Cognitive Upgrade is not the only way that you will gain higher cognitive function but it is a safe and effective way to foster this increase. This energy system is specifically targeted to help your mind upgrade. Once you have received that dose of energy, your body and spirit will recognize that energy and easily access the energy stream from Eternal Sacred Source that IS the energy stream of this particular energy system. Level 2 of Cognitive Upgrade™ is your Lightbody Integration™ attunement. Lightbody is a spiritual and metaphysical term which refers to the energy matrix, aura or grid which connects you more fully to your soul and Divinity. Think of it as a living garment of light that encases your body, your spirit and your consciousness. That means that it is here, and is able to move with you when you dream at night, or are in meditation. Anytime your consciousness travels, it is clothed in your lightbody. This is a very important spiritual construct to maintain and integrate with your physicality. The faster a person's physical body can vibration and still be in physicality, it is said to have a higher "light" quotient. It is easier to perceive spiritual realms when the body you are in is as "light" as possible. Connect with Spirit -£15 Founder: Ole Gabrielson. Our Spirit or Higher Self is with us all the time, it's not just something "up there". We can learn to know it and learn to live more and more in its light. The purpose of this incarnation is to learn important lessons, developing our consciousness, and healing and balancing the self. If we go deep enough, we can even discover what lessons need to be learned, which aspects of consciousness ought to be developed, and how we can heal and balance ourselves and maybe others. To understand ourselves we need to understand who we really are, but this has to be discovered beyond the conflicts and confusions of our personality or ego. We consist of dense and subtle bodies - physical, ethereal, astral, mental and spiritual. These light bodies can all be improved through spiritual work. The bodies, as well as our chakra system, is connected to the Spirit, Higher Self, Oversoul, Atman or Monad, which is considered the source of true personality and its primary guide through long eons of incarnations in all dimensions of time and space. The first thing we need to understand is that the Higher Self is a high density entity in its own right - not any sort of non-individual force. This means that each Higher Self or Monad can be considered a soul who has achieved enlightenment through its own efforts along its own path of evolution. The Higher Self has full understanding of the accumulation of each entity's experiences through all lifetimes - and therefore it is aware of exactly where we stand on this path. It is also aware of all the needed lessons to be learned to achieve full Self-realisation, and is like a map in which the roads leading us towards our destination are well known. The Spirit knows the entire path of evolution back to itself, and knows exactly how to get continuing in the right direction. Your Spirit, also called your "Higher Self", Larger Self" or Angelic Self - has important messages and energies for you to receive every day. Therefore it is important to tune in each day to connect to your Spirit, this energy system can help you to connect more deeply and to interpret the messages you receive. This way you can fully "download" the messages and energies spirit has for you at that moment. Galactic Self Activation Level 2 - £35 Founder: Jay Burrell. The Galactic Self Activation Level 2 is a continuation of the original Galactic Self Distant Attunement and can only be received by those who have been attuned to level 1. There are many levels of consciousness that reside within each and every one of us, but for a vast majority of people they will only use the most limited or restricted level of consciousness which is that of the lower self or the ego mind. This level of consciousness directly corresponds to the parameters of the 3rd dimensional reality which is the realm of space, time an density. Beyond this is the level of the Soul Self, also known as the Galactic Self. 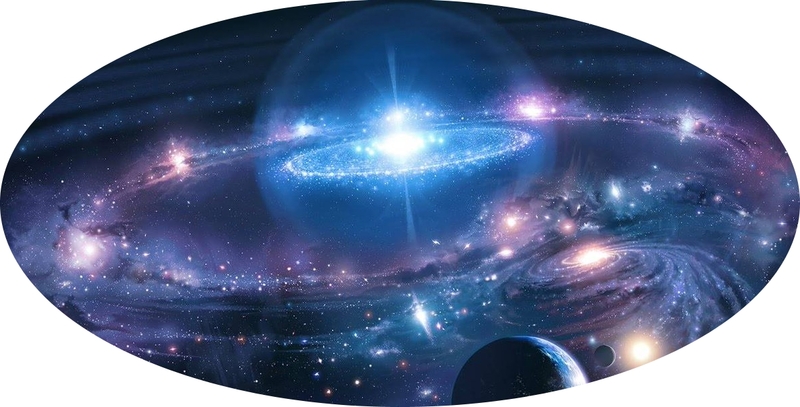 During your connection to the Galactic Self Activation Level 1, you will have received the pure and unconditional awakening of this aspect directly from the Godhead. This blessing was given to help expand natural spiritual abilities of experiencing states of pure oneness where space and time no longer exist in a way that you believe them to be. The Galactic Portals are etheric Interdimensional vortexes of energy which allow the astral self to travel to their galactic home as well as the many other galactic portals that exist in the multitude of celestial homes that exist within our galaxy and beyond. you see, this is not just a system where one will gain entrance to their own galactic home but you will be given advanced energy training which will enable you to travel outside of our galaxy. Please note that this part of your awakening will not occur over night and will take many months or even years to fully integrate this aspect of your consciousness into your present reality. Within this system, you will be focusing on 5 galactic portals which are most commonly associated with previous incarnations of souls who are now within their human form on planet earth. To gain access to these portals will require you to achieve a deep state of meditation. Intention does work but to truly gain the most from this system you must learn how to achieve a very deep state of meditation. You will be offered a guided meditation within this manual which will help you to achieve this level of awareness. Please Note: There is a 7 day wait between each of the 5 Portal Activation's within the Galactic Self Activation Level 2. Golden Symbolic Healings -£10 Founder: Sukhendu Mandal. Welcome the lineage of golden beings the golden aura people. This is a new spectrum of energy recently activated for people to receive axiatonal connection to cosmic and earth grids permanently. The whole range of energy spectrum has been made available through various masters to all mankind. The four symbols you will discover in the manual will change much of what you see as energy healings and ascensions. The symbols are completely different in their energy and workings from Reiki symbols and hence not to be mixed. The symbols energy like the earth cosmic grid can manifest as any spectra of energy and intensity as required. Each symbol clarifies the energies and allows for faster transmutations of golden light as per the need and openness of heart, allowing the true spirit to become manifest. Golden Star Christ Activation -£40 Founder: Chérie Haydon. Golden Star Christ Activation is a series of activations that will activate your 3rd chakra all the way up to the 7th chakra. This Activation will RE-STRAND your DNA and then add more strands to that DNA. This series of activations also unlocks the frequency key to the inner doors so that you can more freely activate them on your own. The keys are opened at ALL levels, from 5 feet below your feet, all the way to the Source. Christ Activation also activates 5 of your chakras located ABOVE your head. With these activations, all of your chakras begin to merge together to become one UNIFIED chakra rather than several chakras operating on their own. This merging includes all your major chakras and all your secondary chakras all coming together to become one energy operating centre. You are activated on the 12th Golden Ray (one of the highest universal rays), the highest energetic grid and energy matrix on Planet Earth and in our entire galaxy at this time. These activations open the doorways to the Divine Consciousness so that we have greater access to communication with our Higher Self. All of the chakras in the lower self are opened (the 7 in the physical body) and it opens up the upper chakras in the Higher Self (at least 5 above the head). You will receive 4 activations. The cells of our physical bodies AWAKEN after an activation and begin to communicate with our DNA. The spaces between the cells are called, I believe Macrocosms and these Macrocosms also begin to communicate the need to purify and detox and will begin doing so immediately. That's why we experience Ascension symptoms because as we continue to ascend (rise up) in vibration and become lighter--more and more purifies within our bodies and we move deeper within and UP towards the Divine. This is WHO we are and this Activational process assists to streamline and boost up the immune system and communicate to let all the baggage go. The baggage is all the thought forms that no longer have our best interest at heart. This includes the false belief systems of what we should or should not do. These processes assist us in moving deeper and deeper within to re-claim our true Divine Selves and we stop listening to the external world. We realize that we no longer need the validation, approval of what everyone else thinks because why should we listen to them? They are NOT yet AWAKE and they don't know what they are talking about! We move away from duality and begin to embrace the love that flows from our hearts and we know that we deserve it and even more! So that is part of our process of re-claiming our divine selves again. Indigo Light Empowerment - £20 Founder: Linda C. Colibert. Prerequisite: You must be Kundalini Reiki Master or to be at least Usui Reiki 1 to take this attunement. This system is more of a personal growth system, than a healing system. It raises your vibration, and allows you to develop your psychic abilities and will also help you to learn to communicate with others, animals, and the nature Spirit’s through empathy and intuition at a faster pace by connecting you to the higher realms. As such, it also works to help raise the vibration of Earth and Humanity, which in turn, speeds our evolution to higher dimensional thinking. The Indigo Light Empowerment energy works with the third eye chakra and psychic centres. It enhances psychic abilities through empathy and love. This system will provide a calming effect on Indigo Children and Indigo Adults. Indigo Children are often labelled as having behavioural problems, lack of attention, and learning disabilities. But actually, the child simply cannot communicate and express what they are feeling in the normal way. They are unique and gifted children. They learn differently than most children and so the teaching methods must be altered and adjusted to each individual child in order to teach them. The Indigo Light energies will sooth them, calms them, and allows you to better understand what they are having trouble in expressing. The great thing is that the Indigo Light Empowerment energies do not inhibit any of these children’s special gifts as some medications and methods do. With the Indigo Light energies these children feel calmer, more connected, and the frustrations they feel at others not understanding them subsides. My Way Home - £25 Founder: Mariah Windsong. My Way Home ™ energy system is the answer to many prayers of people who have been trying to get a better sense of where they came from. This energy system’s attunements provide you access to the energy streams from your preferred home the home you originally lived. These are very personalized energy streams that bring you the energies of where you originally lived and where you prefer to live. If you've ever felt a longing for a place that is not of this Earth, this energy system is the key to give you access to the presence and energy stream of that place. If you feel like you are not from here and want to immerse yourself in a place that is where you are from, this energy system is for you. f you like life, but just still feel like something is missing, like you are getting a tug from someplace off planet, this energy system can answer that call in a safe way. When a person receives an energy stream from the place they originated from or the place they like most, it fulfils something deep inside. When that type of longing is fulfilled, life becomes balanced and health is easier to maintain. This energy system is beneficial both for people who feel subtle energies and those who don't. You don't have to feel the energy in order for it to go to exactly the right place within you. Sacred Indigo Ray Attunement -£10 Founder: Brenda “Silverwolf” Hanlon. How do you know if you, or someone you know, is an Indigo Child or Adult? The Indigo phenomenon is the next step in our evolution as a human species. We are all, in some way, becoming more like the Indigo people. They are here to show us the way, and so the information can be applied more generally to all of us as we make the transition to the next stage of our growth and evolution. The Indigo Children have been incarnating on the Earth for the last 100 years. The early Indigos were pioneers and way-showers. After World War II, a significant number were born, and these are the Indigo adults of today. However, in the 1970s a major wave of Indigos was born, and so we have a whole generation of Indigos who are now in their forties who are about to take their place as leaders in the world. Indigos continued to be born up to about 2000, with increasing abilities and degrees of technological and creative sophistication. The Indigo Adults are composed of two groups. Firstly, there are those who were born as Indigos and are now making the transition to Crystal. This means they undergo a spiritual and physical transformation that awakens their "Christ" or "Crystal" consciousness and links them with the Crystal children as part of the evolutionary wave of change. The second group is those who were born without these qualities, but have acquired or are in the process of acquiring them through their own hard work and the diligent following of a spiritual path. Yes, this means that all of us have the potential to be part of the emerging group of "human angels"
Star Energies Reconnection - £10 Founder: Bhamesh S. Bagratee “Deeshal”. Humanity is going through an intensified adjustment, readjustment and re-connection with the new energy systems being channelled. The Star Energies is a means for an energetic adjustment to all the human energy fields as well as a work to aid in the planetary grid works. The Star Energies are flowing past the Universe and are reaching the Earth. If you feel connected to any Star systems, you can have an access to their Energies, thus helping you in channelling it for self-energy-calibration or recalibration, as well as channelling it to the planet. The Star Energies assist you in returning aspects of your Source Self as we become Whole Source being living on Earth. Level One - Basic Starlight Reiki: The first level consists of pure white sparkling light and feels a very light and clear energy. Level Two - Rainbow Starlight Reiki: The second level consists of glittering multicoloured light, which is like a shimmering rainbow and further helps the chakra system to clear of any blocks. Synergy Within - £15 Founder: Mariah Windsong. Synergy Within provides you the functions necessary to easily adjust the ratios of male and female energy within your body at any time. Some people are uncomfortable in the gender body they were born into. Gender Freedom! If you were in an androgynous form prior to your life on Earth, being in one gender is an odd inner pressure until balance is known. Anyone, single or in a relationship will benefit from Synergy Within’s influx of the perfect balance of Divine Masculine and Feminine. Shape shifters who shift into a gender that is different than the form they are usually in will enjoy Synergy Within. Singles, courting or those in a romantic relationship or marriage: Know the freedom of having your male and female energy needs met by Source, thus arriving to your mate or prospective mate whole, well and glowing! Everyone has both male and female energy within them. When there is an imbalance of male/female energy in ratio to the gender you are, there is discomfort and neediness. Many people in a relationship await their mate to give them affection and share energy with them. While intimate sharing is very beneficial to a relationship, you need not await such in order to have your energy needs met. By receiving the wonderfully perfect balance of masculine and feminine energies of Synergy Within, you will be well inside. Many people arrive to their mate feeling needy, on a daily basis. You will now be able to have inner synergy of masculine and feminine energies that enhance your being. You will be complete and able to share with him or her your healthy aura, heart full of love, and sensual outpouring of passion! Starseeds and those of Angelic Lineage or other androgynous forms: Many starseeds and those of some Angelic or other lineages from various places and dimensions have soul memories of lives in bodies that exhibited no gender. These androgynous light or physical bodies were comfortable. Now, being in a body of one gender, an imbalance is daily felt and disliked. Synergy Within will bring the influx of the other gender and balance within. There is a great need on this planet for a synergy and balance of gender energy. So many beings have arrived to assist humanity and planet Earth’s path into Light and away from the Karma game that was set forth here. Ze' Or Continuum Empowerment - £10 Founder: Mariah Windsong. Ze' Or Continuum are sentient embodiments of the forces of electricity, magnetism, electro-magnetism, gravity, thermals. These forces act differently during various astrological events outside of our planet and the atmosphere. Some people say the Ze' Or Continuum are from the sixth dimension, others that perhaps they are inter-dimensional and from other universes. Their communication is more thought to thought of a music of the spheres style, not linear language. They respond to your request for help by your intent. Once attuned to their energies ask for their help with all areas of your life. There is much written about astrology. If you think about how our Earth's moon and Her gravity pull affects our ocean tides and the water within our own bodies, then it is plausible that other celestial bodies cause effects on Earth. These effects can be in technology, equipment, machinery, our bodies, minds and emotions too. Instead of trying to counteract each kind of astrological event that might have some adverse effects in your life with a different energy, work with the Ze' Or Continuum. Free Postage & Packing in the UK.